VERO BEACH – The International House of Pancakes (IHOP) in Vero Beach is participating in the 13th annual National Pancake Day from 7 a.m. to 7 p.m. 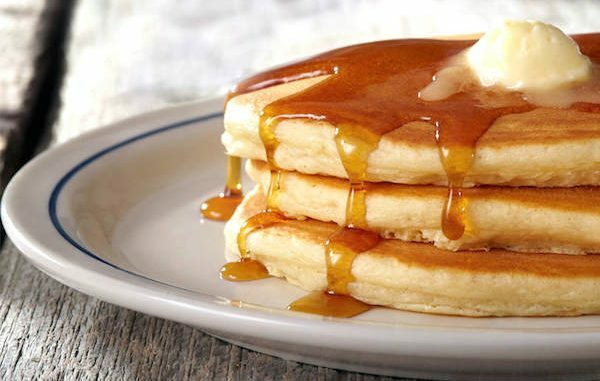 The two Vero Beach IHOP locations are giving away free short stacks of buttermilk pancakes. Some national locations will have extended hours until 10 p.m., but we’re not sure if that includes Vero Beach. This is a dine-in only deal and limited to one short stack per person while supplies last. A short stack of three pancakes usually costs $5.79. Although the pancakes are free, the Glendale, Calif.-based company hopes customers will “make every stack count” by donating to charity partners, Children’s Miracle Network Hospitals, the Leukemia & Lymphoma Society and Shriners Hospitals for Children. IHOP has raised close to $30 million nationwide for youth health, wellness, and educational organizations since the first National Pancake Day in 2006. The money raised stays local and benefits thousands of children’s hospitals across the country. For 2018, the goal is to raise $5 million for children’s hospitals and medical research during its 60 Days of Giving campaign, which runs through March 31.